It’s the holiday season, and while it is time to think about shopping, and family, and all the fun parties we are able to attend, it’s also getting to be the end of another year. While I may not do this as well as I would like to, I often think about how the year went, how my life is going, and maybe try to figure out ways to do better and improve some things. It’s a time of self-reflection and the actions could be big (diet, new career, new home) or it could be small (think to turn the lights off when I’m not in the house more). One store that has me thinking a little bit this 2016 eve is Sears and it’s new Connected Solutions. Sears looking to bring it unmatched selection of smart technology to just about every home in America. I’m thinking that it may be time for Sears to help out my home!!! From wireless, streaming entertainment, media and devices; to smart thermostats, home security and wifi baby monitors; to fitness trackers, smart watches and wearables, Sears Connected Solutions has the best product selection around for you, your techie cousin, or your frugal aunt that wants to save on heating this winter. Plus, the trained experts at Sears can simplify installation, provide tech support or offer repair and maintenance if needed…yes please. After looking at all the many options on the Sears Connected Solutions, I think I want to really concentrate on getting my house, especially my Living Room, in much better working order. There are so many things I can do now to make it smarter, make it work better, and save a lot of money in the process! This is what I’m planning to start off with, but this is only the beginning!! LOL! What do you think? I’m planning on this being a great start to a new, more connected, and more wallet-friendly 2016!!!! Think of all the shoes I could pick up with all of this newly found money. 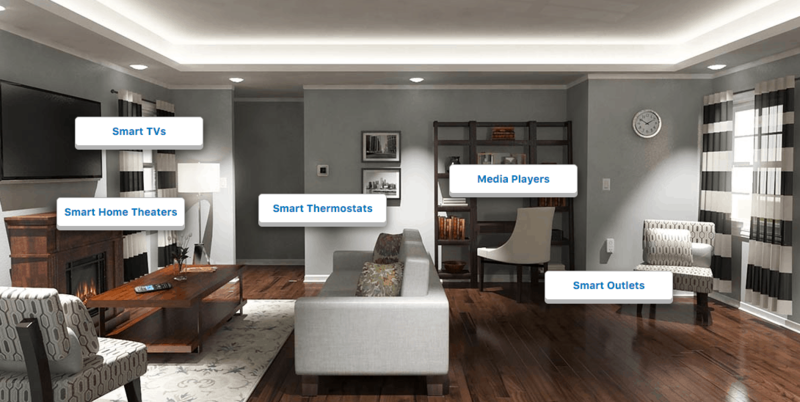 To make this much easier to see and experience, Sears has launched a Connected Solutions flagship store in San Bruno, California and is expanding its smart technology assortment in hundreds of stores nationwide. The flagship store in San Bruno, Calif. now features one of the largest cross-category selections of smart technology products in retail today. At more than 4,000 square feet, the world-class showroom is designed as rooms of a home, allowing consumers to experience the benefits of smart technology firsthand. Thankfully, we have a few Sears locations very close to our home. If you don’t live too close to a Sears, then you can simply go online to experience the San Bruno store and shop for an even wider selection of smart products on the new Sears Connected Solutions site. Get online and see how you can improve your house and your life, in small or big ways, while getting more for your money each and every month!! One (1) lucky Lady and the Blog reader will receive a $100 Sears gift card!!! What would you do to improve your home? I’d love to know your thoughts, suggestions, and experiences! !